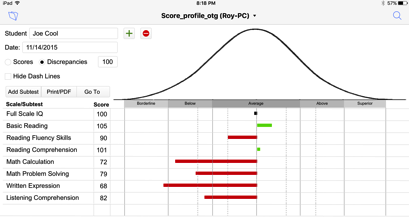 To use Score Profile on the Go on your Windows device or Mac you will need to have FileMaker Pro 14 or 15 installed. If you do not have FileMaker Pro you can download a 30 day trial at FileMaker Download. On a Windows device you should download the 32 bit version of FileMaker Pro. After FileMaker Pro is installed, tap the Download install_score_profile.zip link to save the zipped install_score_profile file to your device. Choose to save the file instead of open when downloading. 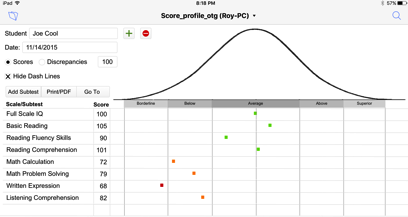 Extract the Score_profile_otg.fmp12 file from the downloaded zipped file to use the program. Do not try to use or open the Score_profile_otg file while it is still in the zipped file. You must copy if from the zipped file or extract it from the zipped file to your Windows device. Once this is done, open the Score_Profile_otg file to use the program.